I was heading back to Bombay after a gap of about 5years and this time I had no agenda at all. I had informed about 4-5 folks that I am coming there, and hoped to meet them if possible. I knew I wanted to spend time and catch up with a friend who had moved there 3years ago and of course explore some parts that I had not explored earlier. We spent the weekend generally hanging out, visiting a mall, doing some shopping [ she convinced a non shopper such as moi to also shop] and playing with their 7yr old bunny boy.. I had also made plans to catch up with a few [among the 4-5] for lunch or coffee. 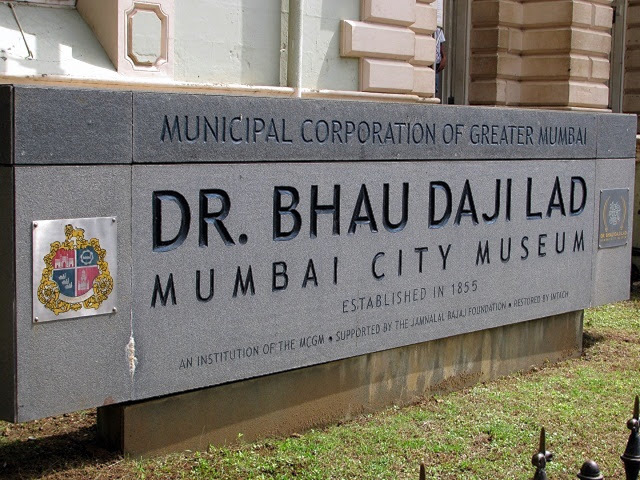 I knew I had a few hours and my friend mentioned the Dr Bhau Daji Lad Museum. I had been to the Prince Wales museum [Chhatrapati Shivaji Maharaj Vastu Sangrahalaya,] few years back, but this one I hadn't heard of. Did some research on the net and discovered it was in Byculla East. If the pictures and blogs I read were anything to go by, the museum promised to be magnificent visit and I headed out towards the place. Beautiful peacocks at the bottom of a heavy ceramic vase. The grand place that greets you as you walk into the museum.. The majestic statues and bust that sit in the museum centre. One of the beautiful sculptures.. 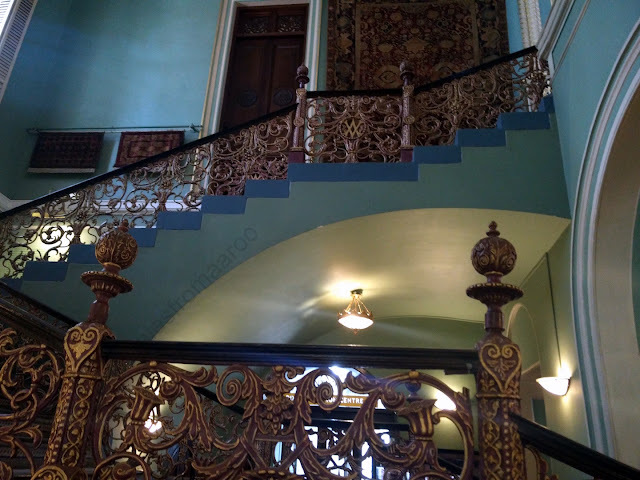 The entire upstairs.. was completely empty when i went.. was such a silent space.. Took me a good hour to reach the museum, the journey was quite a revelation. I realised Bombay folks had taken to radio cabs like fish to water and many had stopped commuting by train. Traffic was bad, and not to mention increase in number of vehicles. The cabbie took me via the Bandra Sea link which was beautiful, quite a sight. Anyways, as I walked into the museum campus, I noticed there was a ticket counter with a board saying "zoo". I was surprised to see that, and anyways made my way towards the museum. On the side sat the majestic elephant [it is a Basalt elephant sculpture from Elephanta Island] with a canon of sorts guarding it. There was a guy sitting next to it, but he very sweetly got up and walked aside when he saw me position my camera for a capture. 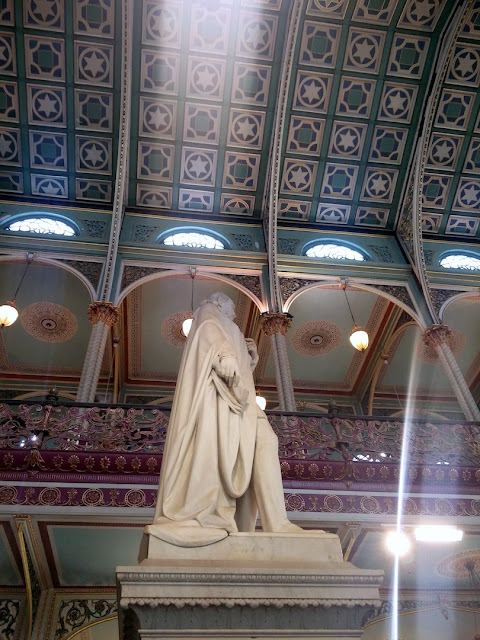 After buying an entry ticket for Rs10 [reminded me of the ticket at Albert Museum in Jaipur, same price], I made my way inside. There was no major security checks, only thing the staff inside told me was to not speak on the phone while inside. 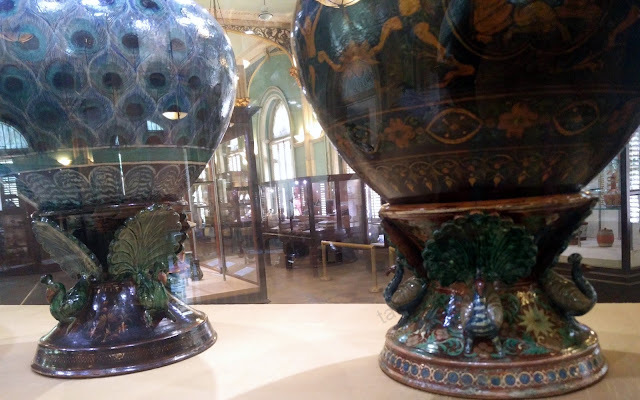 Also known as the Victoria and Albert Museum, this museum was built back in 1872 and is a treasure house of anything related to history- Historical artefacts paintings, pots, pans, photographs, and so much more from across the country. What made the visit interesting were the information cards near the exhibits. They were in both Hindi & English and quite detailed. The displays themselves had boards in both languages and they were all neat and organised. The instant you step inside, you are in awe of the architecture of the place. It was like a palace, simply wow.I must have spent close to two hours here, walking the length of the museum, exploring the two floors. 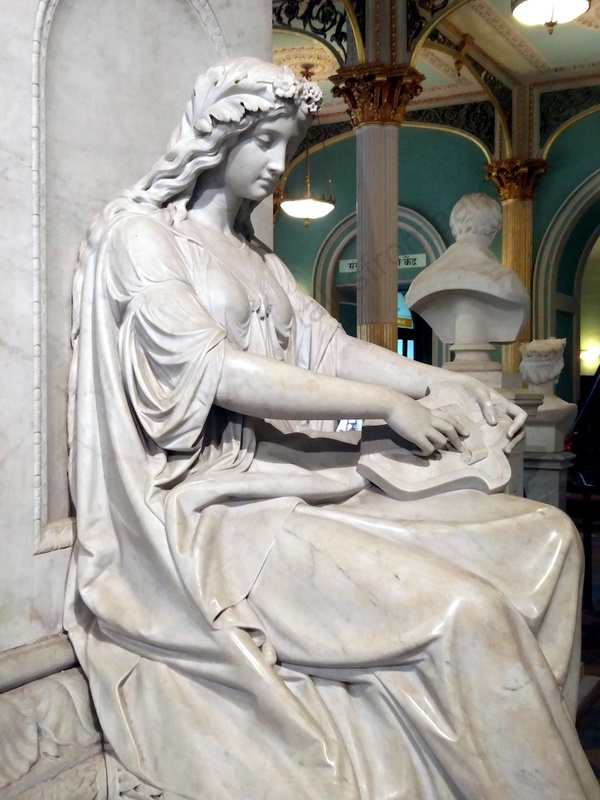 As you head towards the staircase you can't help but notice the cluster of sculptures that stand tall. The man standing tall is David Sassoon – opium baron, trader and architect of Colonial Bombay. There are quite a few buildings around the city named after him- David Sassoon Library & Reading Room at Kalaghoda. 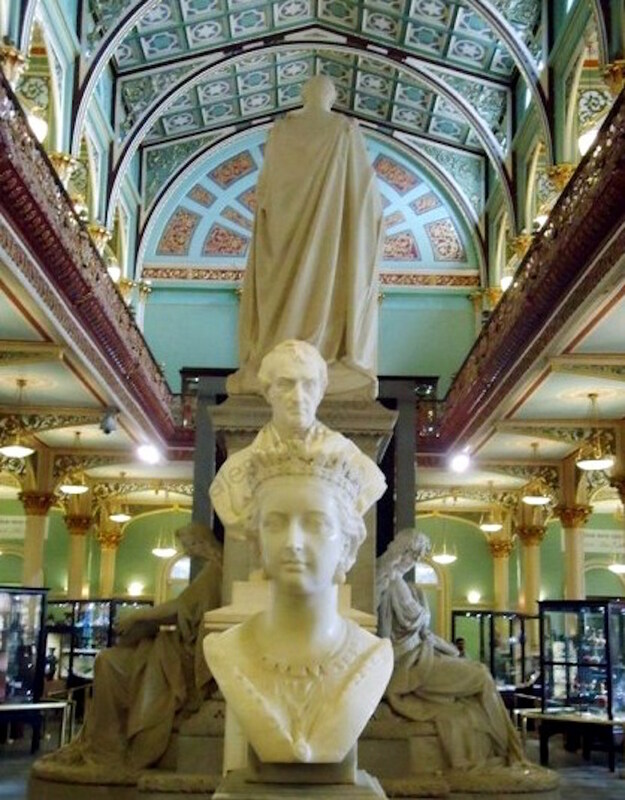 Apart from Sasoon the other statues belong to Prince Albert who stands just behind him. There are two women who are on either side of the Prince, did not notice their names though. 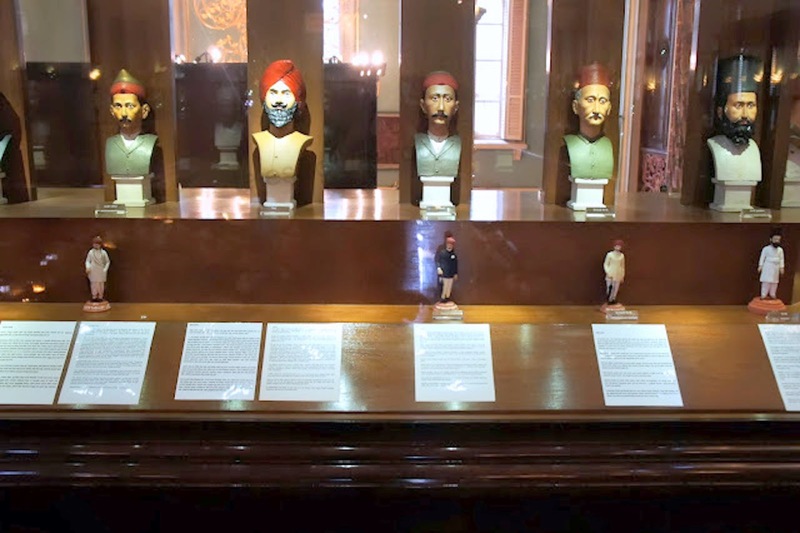 While the ground floor was filled with artefacts and pieces from across the country, the top floor showcased historic maps, model ships, models of Bombay life in the 19th and 20th centuries. the one fascinating exhibit was the Towers of Silence.. I have not heard of it and so it had me enthralled. 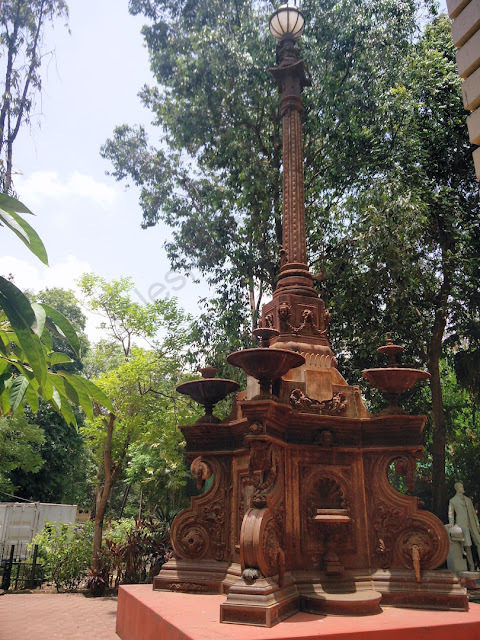 I learnt that it is where the bodies of Parsis or Zorashtrians are laid after they die. It’s an open well of sorts, and vultures eat the remains of the departed. As I walked out towards the Museum Shop, I spotted the tall tower on the side of the museum. The museum shop has a small but cool collection of items that you could purchase, from bookmarks to t-shirts, mugs, posters, games, coasters and so on. The Victoria and Albert Museum was originally established in 1855 in Mumbai. 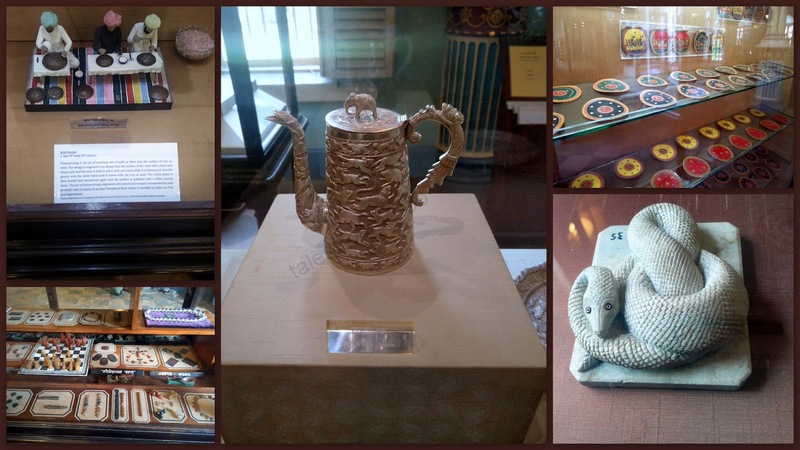 During this time, the museum was used as a treasure house of the decorative and industrial arts. 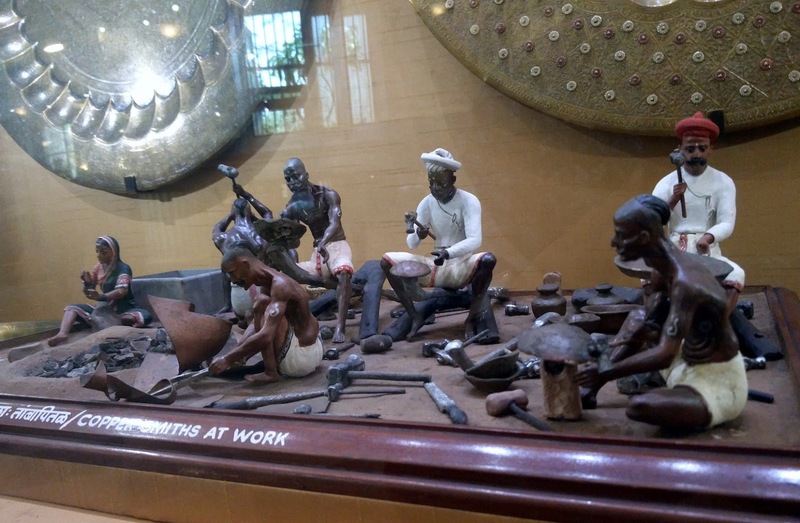 The thought of establishing a museum was suggested by a collector known as Dr. Buist, when the India was under the control of British East India Company. 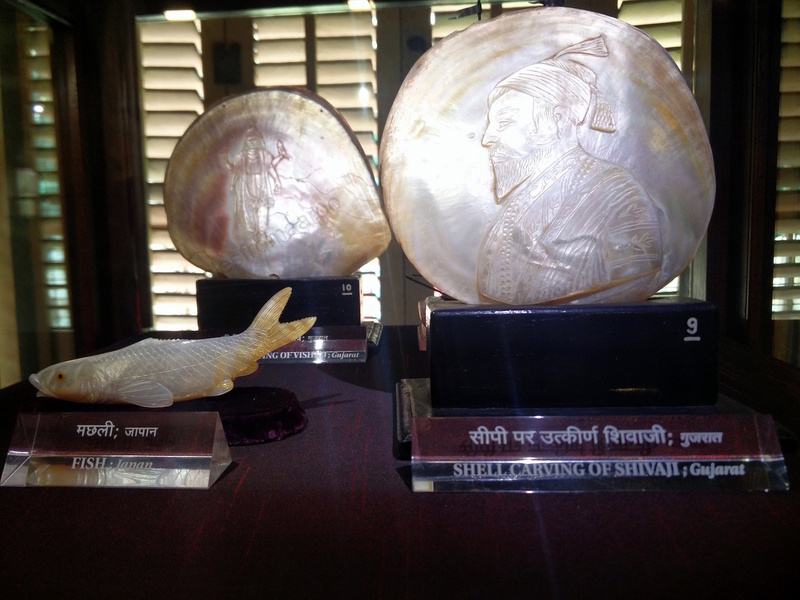 Dr. Ramkrishna Vitthal Lad, also known as Dr. Bhau planned the construction of the museum with an amount of Rs. 6000. After a committee was formed, the foundation for building the museum was laid down in 1862. 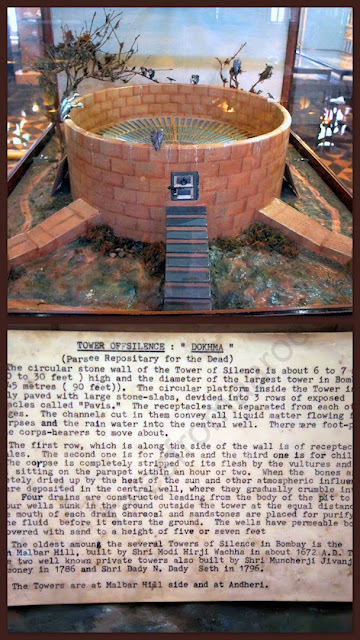 The construction was complete only in 1871 and the museum was opened in 1872. The museum is presently known as 'Dr. 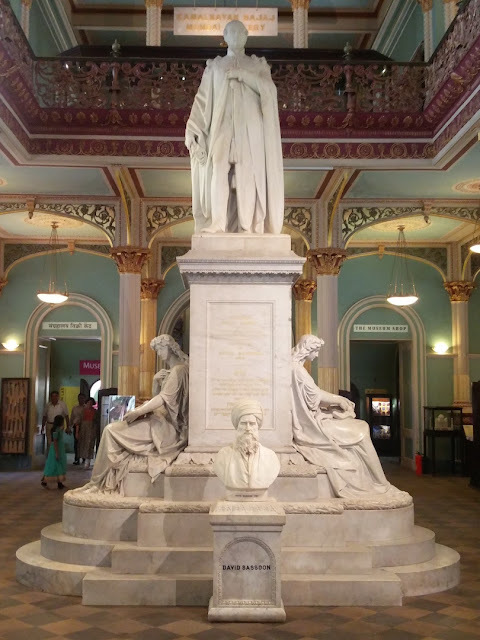 Bhau Daji Lad Museum'. It was renamed after Dr Bhau Daji Lad because of his dedication to the museum. 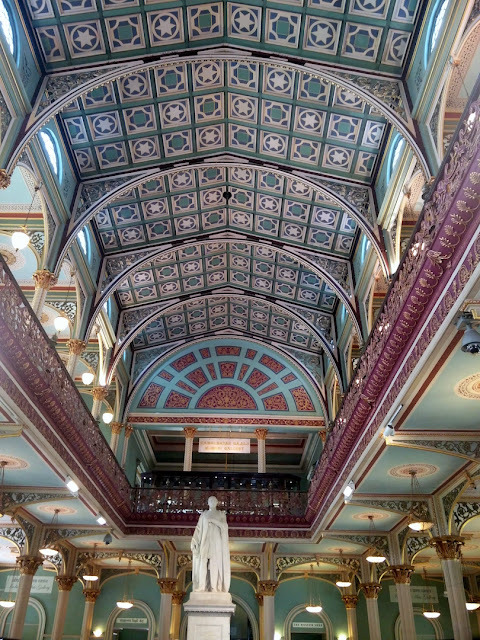 The initial appearance of the Victoria and Albert Museum had a gloomy look but now, after the various contributions put forth by the 'Indian National Trust for Art and Cultural Heritage (INTACH), the museum has improved in its appearance. 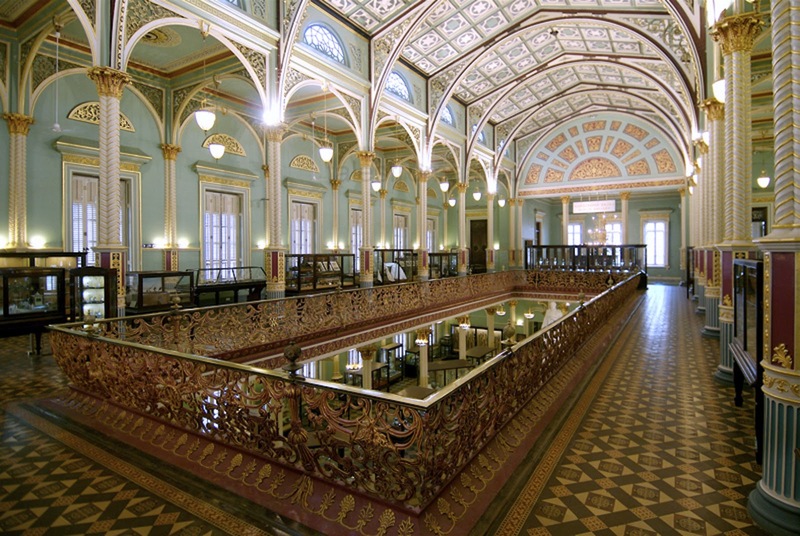 The museum is adorned with gold ornamentations on the corners of the walls, railings and ceilings. The blue-painted pillars add magnificence to the museum's look. The entire construction of the museum is inspired by the Greco-Roman style of architecture. Apart from the arches that are elegantly designed and the heavy glass cases, the high painted ceilings of the museum is also a work of expertise. 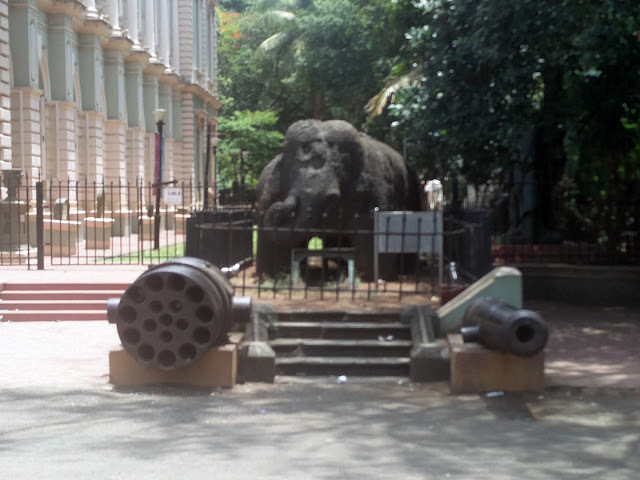 The 'Victoria Gardens' or 'Rani Jijamata Udyan', serves as a backdrop for this ancient museum. its a mazing museum. statue of this museum are looking awesome. Is it allowed to click pictures inside this museum? Yes.. There were people who looked like they came there just to click selfies.